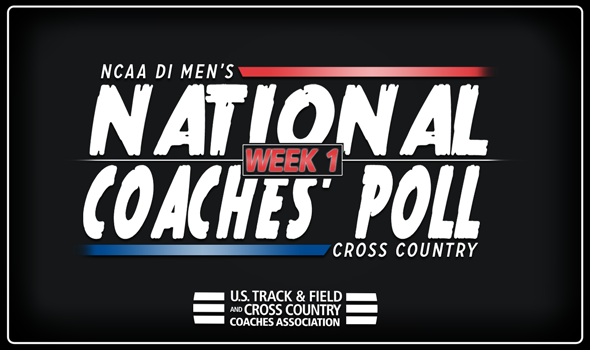 NEW ORLEANS – Early-season returns haven’t had too much of an impact on the NCAA Division I Men’s Cross Country National Coaches’ Poll. Between the preseason poll, which was released August 28 and the first poll of the regular season, which the U.S. Track & Field and Cross Country Coaches Association (USTFCCCA) publicized today, 14 teams shifted spots – but none of them in a seismic way. The biggest moves of the Week 1 poll were turned in by Furman and Wisconsin. Before we get to the Badgers and Paladins, let’s take a look at the top-5, which didn’t change one bit from the preseason. Northern Arizona headlines the group and is followed by No. 2 BYU, No. 3 Portland, No. 4 Stanford and No. 5 Iowa State. The Lumberjacks are still the unanimous No. 1 and extend their streak atop the poll to 15 consecutive weeks. NAU debuted all of its top runners at the George Kyte Invitational, where Peter Lomong was the individual champion and Matthew Baxter and Tyler Day weren’t too far behind. The Cougars open the season this upcoming weekend at the BYU Autumn Classic, while the Pilots and Cardinal turned in controlled efforts at the Portland State Invitational and the Oregon XC Preview, and the San Francisco Invitational, respectively. The Cyclones made quick work of the Hawkeye Invitational last month as they recorded a perfect score with Festus Lagat leading the way and several of their top runners in the race as well. Wisconsin jumped two spots from the preseason from No. 11 to No. 9. This is the Badgers’ first time in the top-10 since Week 3 of 2017 when they were seventh. Even though Wisconsin hasn’t made its season debut yet – but will at the Badger Classic this weekend – expectations are high for Mick Byrne’s team once again. Byrne’s Badgers were one of four teams to shift multiple spots in the positive direction between the preseason and Week 1. The others included Boise State (No. 24 to No. 22), Oklahoma State (No. 25 to No. 23) and the aforementioned Paladins. Furman climbed a poll-high three spots from No. 30 to No. 27 following a strong effort at the Eye Opener Invitational in Spartanburg, South Carolina. The Paladins swept the proceedings as Daniel Bernal led the way in first place with a time of 25:36.7 over the 8K tract. Two teams received votes in Week 1 that did not in the preseason – and both are from the Northeast Region: Providence and Stony Brook. This is the first time in program history that the Seawolves have received a vote in the National Coaches’ Poll. We should get a better look at what Stony Brook has to offer at the Coast-to-Coast Beantown Invitational in two weeks and then at the Pre-National Invitational on October 13. Be sure to check back in throughout the season as a lot more will change between now and November 17, when the 2018 NCAA Division I Cross Country Championships will be held in Madison, Wisconsin at the Thomas Zimmer Championship Cross Country Course.